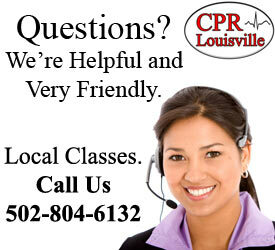 CPR Louisville KY is an American Heart Association Training Site located in Louisville, KY. Our philosophy is to teach classes in a stress-free and friendly classroom. We believe that optimal learning occurs when students are in a relaxed environment. We understand the importance of the material in the courses that we teach, and therefore take the responsibility of teaching this information very seriously. However, we do it in a fun way! 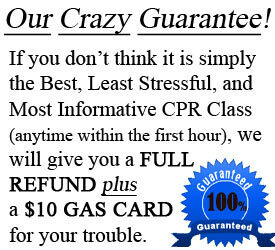 All of our instructors are American Heart Association certified. 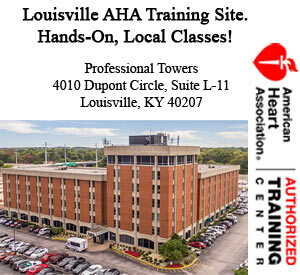 Each has gone through the rigorous training that the AHA requires in order to be certified to teach classes. After they complete the actual instructor class, they are then carefully monitored while teaching their own class. This monitoring includes looking for proper AHA procedure, as well as insuring that accurate information is being disseminated to the students. 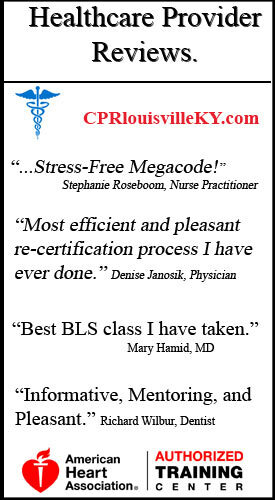 After the certification process is completed, CPR Louisville KY then provides further training to it’s instructors that focuses on our philosophy which is student centered learning. 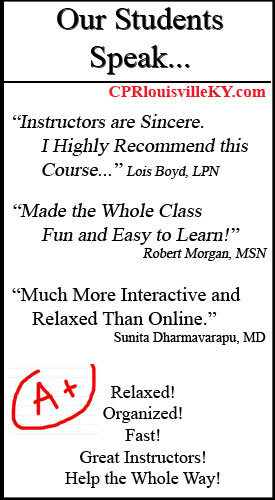 Instructors are indoctrinated in how to provide a stress-free, fun and relaxed classroom. These classroom management techniques have been developed over many years. This is a major reason why classes taught by our instructors are often called the “best class experience” by our students. If you have any questions, please contact us. We are here for you.